I just got this beautiful set of painted wine glasses from Valentina Paris. You get a set of two. These are larger glasses, not the traditional size. However, this is great for swirling the wine. I love these for entertaining. The glass is beautiful stained glass all around the bottom of the glass. Very intricate pieces. They are really well made. They make a great house warming or wedding gift. In fact they would be beautiful for the wine drinking ceremony at a wedding. Very easy to hold, has along stem, even if you are walking around they are easy to handle and hold. Great set of glasses. 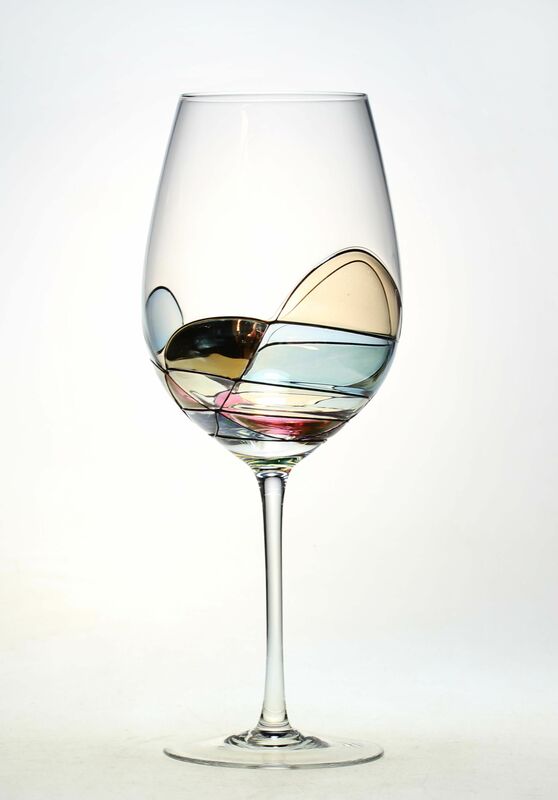 ARTISTICALLY DESIGNED: Valentina Paris artists’ design each wine glass in Paris. Home to some of the most artistically-sound crafters in the world, each of our mouth-blown, hand-painted wine glasses will always be original and unique.